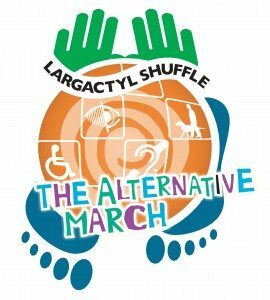 CoolTan Arts and Disability Lib join forces and organise a Largactyl Shuffle against the cuts, an alternative inclusive demo for disabled and non disabled people to march together and make their voices heard against the cuts. On the same day Disabled People Against Cuts (DPAC) are going to take part in the main TUC march in protest against government cuts. See http://www.dpac.uk.net/ for more info. The Largactyl Shuffle against the cuts supports the main march, but aims to be a bit more low key so as to accommodate those of us who just don’t do big crowds. We will however be connecting with colleagues from Disabled People Against the Cuts on the main march through the web.